One of the stars of “Parks and Recreation” twisted a quote from Mitt Romney to pitch young people on four more years with the leader responsible for the worst economic recovery in decades. 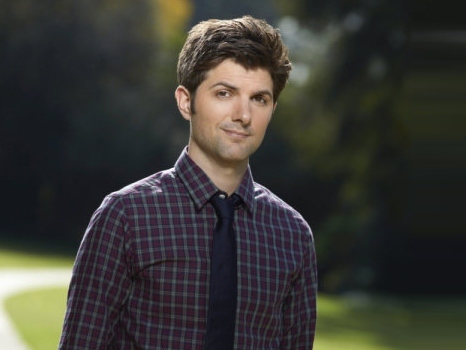 Actor Adam Scott has found a problem with Mitt Romney’s advice to have young people ask their parents for money to start a business or go to college. “My response to that is what if your parents don’t have any money? We need everyone in this country to get an education. It’s an important thing,” Scott told a crowd of students at the University of Northern Iowa’s Lang Hall on Saturday night. Romney was trying to inspire young people to take risks and believe in their visions when he suggested they consider a business-style loan from their parents to jump-start their careers. Scott and his “Parks and Recreation” co-star Rashida Jones were in Cedar Falls as part of a two-day, five-city swing through Iowa to campaign for President Barack Obama….Vote early, and you can spend election day at home in your pajamas, was part of Scott and Jones’ message.